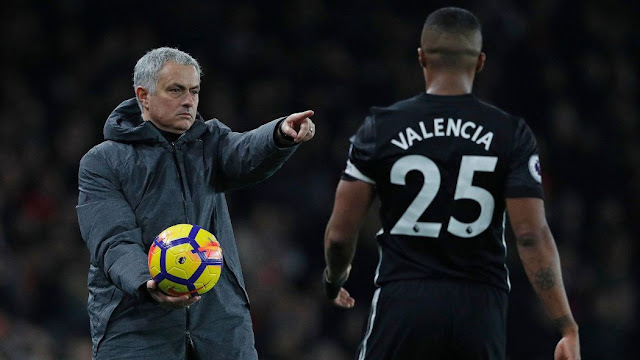 Manchester United manager Jose Mourinho has taken a dig at United right-back Antonio Valencia after the United man posted a video on Instagram. Valencia who hasn't played for Manchester United for a month now posted a video on Instagram with the caption 'work, work, work' and Mourinho wasn't pleased with the video. Valencia who has also been ruled of Manchester United game this weekend was seen in the video having some work out session in the gym. Mourinho has now spoken about the video and it is a big dig at the Manchester United superstar. 'Antonio Valencia, I watched something funny in his Instagram where he says 'work, work, work' in the gym; Mourinho said.